Property Location When you stay at Park Hotel in Ilford, you'll be near the airport and minutes from Ilford Cricket Club and Valentines Park. 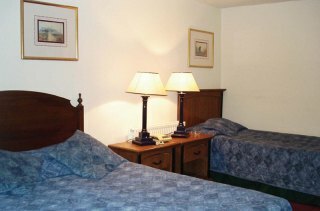 This hotel is within close proximity of Ilford Golf Club and Wanstead Park.Rooms Stay in one of 60 guestrooms featuring LCD televisions. Complimentary wireless Internet access keeps you connected, and digital programming is available for your entertainment. Conveniences include phones and coffee/tea makers, and housekeeping is provided daily.Rec, Spa, Premium Amenities Make use of convenient amenities, which include complimentary wireless Internet access and a television in the lobby.Dining A complimentary full breakfast is served daily.Business, Other Amenities Free self parking is available onsite. 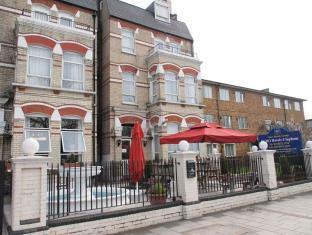 Property Location With a stay at Britannia Inn Hotel in Ilford, you'll be near the airport and minutes from Valentines Park and close to Boleyn Ground Stadium. 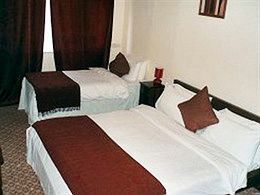 This hotel is within close proximity of Ilford Cricket Club and Ilford Golf Club.Rooms Stay in one of 12 guestrooms featuring LCD televisions. Complimentary wireless Internet access is available to keep you connected. Bathrooms have complimentary toiletries and hair dryers. Conveniences include desks and coffee/tea makers, and housekeeping is provided daily.Rec, Spa, Premium Amenities Make use of convenient amenities, which include complimentary wireless Internet access and a television in the lobby.Dining A complimentary continental breakfast is served daily.Business, Other Amenities Featured amenities include express check-out and a 24-hour front desk. Free self parking is available onsite. 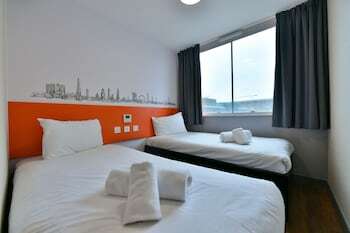 Property Location A stay at ibis Styles London Croydon places you in the heart of Thornton Heath, steps from Croydon University Hospital and close to Centrale Shopping Centre. 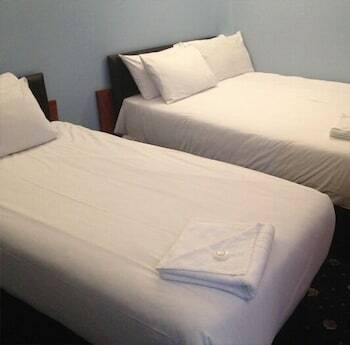 This hotel is within close proximity of Selhurst Park Stadium and Mitcham Common.Rooms Make yourself at home in one of the air-conditioned rooms featuring flat-screen televisions. Complimentary wireless Internet access keeps you connected, and satellite programming is available for your entertainment. Partially open bathrooms with showers feature complimentary toiletries and hair dryers. Conveniences include phones, as well as desks and coffee/tea makers.Dining Enjoy a satisfying meal at a restaurant serving guests of ibis Styles London Croydon. Quench your thirst with your favorite drink at a bar/lounge.Business, Other Amenities Featured amenities include a 24-hour front desk, multilingual staff, and a safe deposit box at the front desk. Self parking (subject to charges) is available onsite. Property Location With a stay at ibis London Heathrow Airport in Hayes, you'll be near the airport and close to Stockley Park. 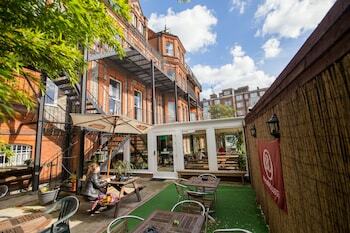 This hotel is within the vicinity of Osterley Park and Brunel University.Rooms Make yourself at home in one of the 356 air-conditioned guestrooms. Complimentary wireless Internet access keeps you connected, and satellite programming is available for your entertainment. Bathrooms have bathtubs or showers and hair dryers. Conveniences include safes and desks, and housekeeping is provided daily.Rec, Spa, Premium Amenities Take in the views from a terrace and make use of amenities such as complimentary wireless Internet access and a television in the lobby.Dining Enjoy a satisfying meal at a restaurant serving guests of ibis London Heathrow Airport. Quench your thirst with your favorite drink at a bar/lounge. Buffet breakfasts are available daily for a fee.Business, Other Amenities Featured amenities include a computer station, express check-in, and express check-out. A roundtrip airport shuttle is provided for a surcharge at scheduled times, and self parking (subject to charges) is available onsite. Property Location With a stay at Airport Inn Gatwick in Horley (Hookwood), you'll be close to Gatwick Aviation Museum. This hotel is within the vicinity of Crawley Town Hall and St. John the Baptist Church.Rooms Make yourself at home in one of the 125 air-conditioned guestrooms. Complimentary wireless Internet access is available to keep you connected. Conveniences include phones, as well as desks and coffee/tea makers.Dining Enjoy a meal at a restaurant, or stay in and take advantage of the hotel's 24-hour room service. Quench your thirst with your favorite drink at a bar/lounge.Business, Other Amenities Featured amenities include a computer station, express check-out, and a 24-hour front desk. A roundtrip airport shuttle is provided for a surcharge (available 24 hours), and self parking (subject to charges) is available onsite. 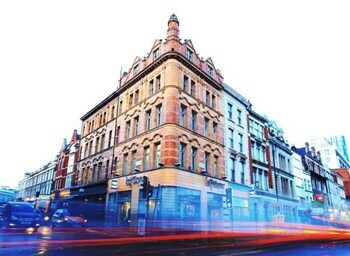 Property Location A stay at Clink 261 Hostel places you in the heart of London, minutes from British Library and close to King's College London. 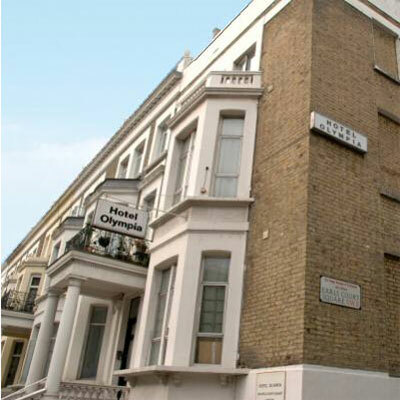 This hostel is close to St. Paul's Cathedral and Trafalgar Square.Rooms Make yourself at home in one of the 10 guestrooms. Prepare your meals in the shared/communal kitchen.Rec, Spa, Premium Amenities Make use of convenient amenities, which include complimentary wireless Internet access and a television in the lobby.Dining A complimentary continental breakfast is included.Business, Other Amenities Featured amenities include complimentary high-speed (wired) Internet access, a computer station, and a 24-hour front desk. Property Location With a stay at ibis Styles London Leyton in London (Leyton), you'll be close to William Morris Gallery and Olympic Stadium. This hotel is within close proximity of Olympic Park and Olympic Village.Rooms Make yourself at home in one of the 139 air-conditioned rooms featuring flat-screen televisions. Complimentary wireless Internet access keeps you connected, and cable programming is available for your entertainment. Private bathrooms with showers feature complimentary toiletries and hair dryers. Conveniences include phones, as well as desks and complimentary newspapers.Dining Quench your thirst with your favorite drink at a bar/lounge. A complimentary continental breakfast is included.Business, Other Amenities Featured amenities include complimentary high-speed (wired) Internet access, complimentary newspapers in the lobby, and a 24-hour front desk. Self parking (subject to charges) is available onsite.